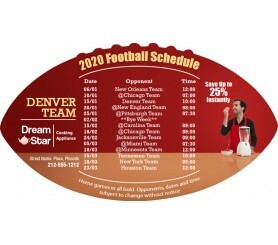 Personalized 4 x7 inch one team Denver Team football schedule cooking appliance football shape magnets can be employed for promoting cooking appliance business. This magnet will show up from refrigerator door or other surface of affixation easily with its shape. 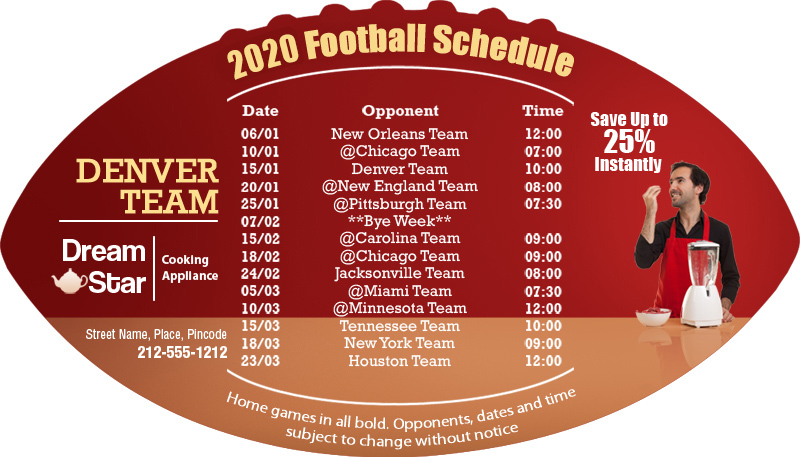 Advertisers who are starting up new in the niche can find success with this magnet because it touches many hearts with its charm during the sports season.